“Nobody has created this problem because they chose to defraud the state. This is a system that has been created over years and people who have planned their lives, have planned their retirements are counting on these benefits,” Osborne said at a Louisville chamber of commerce event. Osborne said the issue wouldn’t be settled quickly and said he sympathized with state workers who have rallied against changes to pension benefits. Last year, lawmakers passed a pension bill that weakened retirement benefits for most future and some current state workers, triggering massive protests from teachers and others. The Kentucky Supreme Court struck down the measure in December, saying lawmakers had rushed the bill to passage. Osborne said lawmakers would also consider legislation that would reform the state’s kinship care program, which compensates extended family members who take care of children removed from their parents due to neglect or abuse. “If there’s one thing we’re known for in Kentucky, it’s that we take care of each other. And the scourge of drugs and broken families is tearing this state apart,” Osborne said. Kentucky’s kinship care program gives guardians $300 a month, though the commonwealth quit making those payments and approving new cases in 2013. 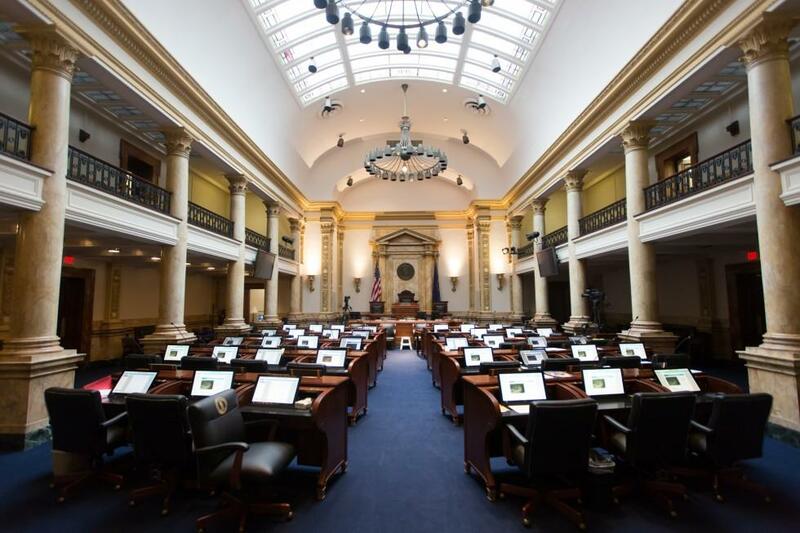 After a federal court ordered Kentucky to resume making payments to caregivers, lawmakers last year set aside nearly $5 million in the budget to resume making the payments, but the program is still frozen. There were about 96,000 Kentucky kids living with relatives or family friends over the last three years. Lawmakers will also likely take up a school safety bill that would create more rigorous school security protocols and encourage districts to hire law enforcement officers and mental health counselors once funding becomes available. Osborne also said he thinks there’s a “real possibility” that lawmakers will consider overhauling the state’s cash bail system, no longer requiring low-risk criminal defendants to pay bail in order to be released from jail before they head to trial. One of the first issues lawmakers will have to address is the recount in House District 13, which resulted in a tie over the weekend. The recount was initiated by a special board of 6 Republican lawmakers and 3 Democrats, which voted to conduct the recount after former GOP Rep. DJ Johnson lost re-election to the seat by one vote last November. Now the board will have to decide how to settle the contest and send a report to the full House of Representatives, which will ultimately decide what to do next. The initial winner in the race — Democratic Rep. Jim Glenn — has already been sworn in. His lawyer said the only way to remove him from the seat is by impeaching him.